Home / FAQ / What are the leading health insurance companies? Some of the top leading health insurance companies in the nation are United Healthcare, Kaiser, Wellpoint Group, Humana, Highmark, Blue Cross Blue Shield, and Aetna. There are a number of factors that go into naming the leading companies, one which includes ratings by the actual insurance customers. You can do a search right now to compare health insurance rates just by filling in your zip code in the space provided. This article will explore a few things about leading insurance companies for healthcare. It will list the top ten companies as well as discuss how some of these ratings are determined. In general, however, the best health insurance company for you and your family is the one that meets your individual needs in the best possible way. What are the top ten health insurance companies? The last data available for the top health insurance companies is from 2009. The data was collected by the National Association of Insurance Commissioners and is based off of the number collected in insurance premiums. The top ten companies include United Healthcare, Wellpoint Inc., Kaiser Foundation, Aetna, Humana, HCSC, Coventry Corporation, Highmark, Independence Blue Cross, and California Blue Shield. Besides ranking companies according to the size and number of dollars they bring in, some companies are rated by customer satisfaction. Besides their size, what is another way to rank health insurance companies? J.D. Power and Associates is a company that publishes information about a number of different industries. It provides research on the market, customer satisfaction, and social media. The company analyzes perceptions and opinions of consumers and then provides the results through its website. One of the industries that it analyzes is the insurance industry and it rates auto insurance, health insurance, life insurance companies, and more. It takes data collected from consumers and reports on different insurance companies, while at the same time ranks them according to the results. In terms of ranking health insurance providers, it judges them based on a number of factors. Consumers report on eight different factors. Some of the factors of the insurance companies that are rated are the approval processes, overall customer service, statements, and health insurance claims processing. Other ratings factors include communication and information, the choice of providers, overall experience, and benefits and coverage. Each factor receives a score that ranges from one star to five stars. A five means that the company is along with the best, a four means that it ranks higher than most, a three means it is average, and two stars or one means that it is not very good in that category. J. D. Power and Associates also gives an award to the top ranking company. J.D. Power and Associates rates the companies in each state so you can visit their website and click on your state to see which companies rank the highest, as well as the lowest. 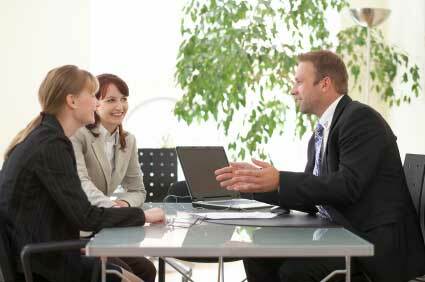 What are other factors to keep in mind when looking for a top insurance company? Another factor you should be aware of when searching for a leading company for your health insurance is how it ranks financially. There are companies that rate insurance companies according to how financially stable they are, how many assets they have, and what their future outlook looks like. A.M. Best is one of these companies. When you narrow down your search for companies, go to the website and see what their rating is. If their rating is mid to low and their outlook isn’t the best, you probably want to go with a different health insurance company. You want buy insurance from a company that will be around for a long time and has enough money to pay your claims. Another factor to be aware of is what types of coverage the company offers. Your health care needs differ from other individuals and families so you want to find a company that can provide the type of policy that suits you. A company may be a big and popular one but it doesn’t matter if it doesn’t offer you what you need. A smaller, lesser known insurance company may be better in certain situations. Don’t be afraid to choose a little known company, especially if they are given high ratings. You may even find that the customer service is more personalized and that more of your questions are answered because it is a smaller company who really values you, your family, and your business and loyalty. You can easily compare health insurance quotes right here just by filling in the zip code where you live.